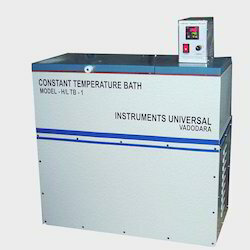 Leading Manufacturer of precision temperature water bath, precision constant temperature bath - refrigerated, grinder speed controller and constant temperature water bath - heating from Vadodara. 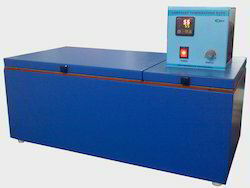 Precision Temperature bath is designed for precise research work and it is to maintain absolutely steady and uniform temperature in bath with the stability of + / - 0.1 degree centigrade in entire range of 5 degree to 90 degree centigrade. It is available as per customer requirement. It has inbuilt with digital capillary type over temperature protection and specially humidity resistant molded stainless steel heater coil stainless steel circulator body. 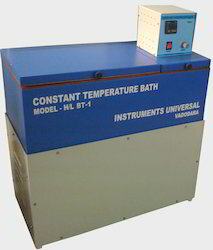 The constant temperature bath Model H/L TB-1 is specially designed Precision Temperature Bath that offer steady and uniform temperature in bath with the stability of + / - 0.5 degree centigrade, with inbuilt Micro Controller based digital controller and sturdy energy controller. The heating element is 1500 Watt corrosion resistant SS heater and capillary type over temperature protection housed in sturdy enclosure with double bearing circulator guarantee long life trouble free operation and refrigeration systems with S S cooling coil. The wetted parts are stainless steel and MS parts are powder coated and assembled through fiber angle to avoid heat loss to consume minimum energy. The sturdy compressor, Stainless steel cooling coil, high efficiency heat dissipater, and cooling fan give excellent cooling for fast settling at required temperature. Powerful stirrer helps achieving uniform temperature through out bath. Lower compartment is fabricated with MS angle and enclosed with MS sheet. All MSparts are duly powder coated for corrosion resistance. Heat insulation between innerand outer case of water compartment and upper lid is done with cerawool. Micro controller based PID 528 is user-friendly temperature controller. Temperature sensor PT100 (Sealed in SS well) is used for better, precise and reliable temperature indication and control. Controller has higher and lower limit set point facility to avoid out of range temperature shoot up incase of control system failure or un proper setting.A reliable capillary controller is also provided and thermally coupled with heating element to avoid heater failure in case of low water condition. Excellent PID control for heating system and precise ON / OFF for compressor along with 2 minute delay timer for gas stabilization ensures reliability with protection. Complete instruction manual is provided with connection diagram, controller settings,safety instruction, trouble-shooting flow chart for self-serviceability. The unit is completely warranted for one year from the date of sales for trouble free operation.Although it is not required, we ensure quick after sales service at reasonable rate after warranty period. 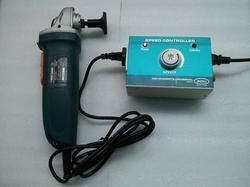 IU Grinder Speed controller is specially designed to control the grinder speed from minimum 300 rpm to maximum as per given by the grinder manufacturer. Specially developed for metallurgical polishing needs.Can also be used to polish the material at variable speed with abrasive wheels or papers. Supports up to 1000 watt Grinder. The constant temperature bath Model H TB-1 is specially designed Precision Temperature Bath that offer steady and uniform temperature in bath with the stability of+ / - 0.1 degree centigrade, with inbuilt Mic ro Controller based digital controller and sturdy energy controller. The heating element is 1500 Watt corrosion resistant SS heater and capillary type over temperature protection housed in sturdy enclosure with double bearing circulator guarantee long life trouble free operation. It is special designed for precise research work. The wetted parts are stainless steel and MS parts are powder coated and fiber angle to avoid heat loss to consume minimum energy. The sturdy compressor, Stainless steel cooling coil, high efficiency heat dissipater, and cooling fan give excellent cooling for fast settling at required temperature. Powerful stirrer helps achieving uniform temperature through out bath. All MS parts are duly powder coated for corrosion resistance. Heat insulation between inner and outer case of water compartment and upper lid is done with cerawool.Micro controller based controller is user-friendly temperature controller. Temperature sensor PT100 (Sealed in SS well) is used for better, precise and reliable temperature indication and control. Controller has higher and lower limit set point facility to avoid out of range temperature shoot up incase of control system failure or un proper setting.A reliable capillary controller is also provided and thermally coupled with heating element to avoid heater failure in case of low water condition. Complete instruction manual is provided with connection diagram, controller settings,safety instruction, trouble -shooting flow chart for self-serviceability. The unit is completely warranted for one year from the date of sales for trouble free operation.Although it is not required, we ensure quick after sales service at reasonable rate after warranty period.